Do you remember in my blog a long time ago I told you that Rudolph and Clarice had two new little reindeer? Well the little reindeer, Georgie Gingerbread and Blizzard, are growing up so fast I can hardly believe it! The elves even had a surprise first birthday party for them. It was quite a party. 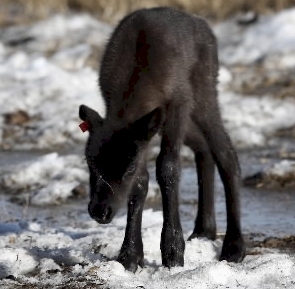 Would you like to hear more about the birthday party for Santa’s newest little reindeer? Today, Rudolph the reindeer wanted to write something in the Santa Claus Christmas Blog.